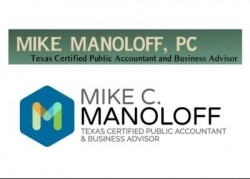 Mike C. Manoloff, PC is a Texas Certified Public Accounting firm servicing all types of dental practices throughout Texas, Oklahoma and New Mexico. Mike C. Manoloff, PC is much more than an accounting firm, we are tax and financial experts for dentists with a focus on minimizing your tax obligations legally. In fact, we take pride in leveraging our knowledge of the tax laws to better service hundreds of dental practices throughout the southwest. To provide the best financial guidance on tax, accounting and benchmarking analysis, Mike Manoloff CPA actively participates in two leading CPA associations focused on dental and medical practices. •Dental Accounting Association – We are a proud and founding member of this association, which is focused on dental practices throughout North America. This association is comprised of CPA Firms located throughout the United States and meets regularly to share best practices and emerging trends within the dental industry. •Health Care Advisors Association – We are a proud member the National CPA Health Care Advisors Association (HCAA) which is a nationwide network of established CPA Firms devoted to all aspects of the health care industry. We are also members of the Academy of Dental Management Consultants (ADMC). Formed in 1987, we are continuing to grow and merit the respect and confidence of our peers and the dental profession. In addition, we also actively participate in at least three dental trade shows annually within Texas and have plans to attend national dental conferences (e.g., ADA Annual, AAO, AAOMS, etc.) to expand our knowledge of the ever-changing regulations and emerging technology changes within the dental industry.